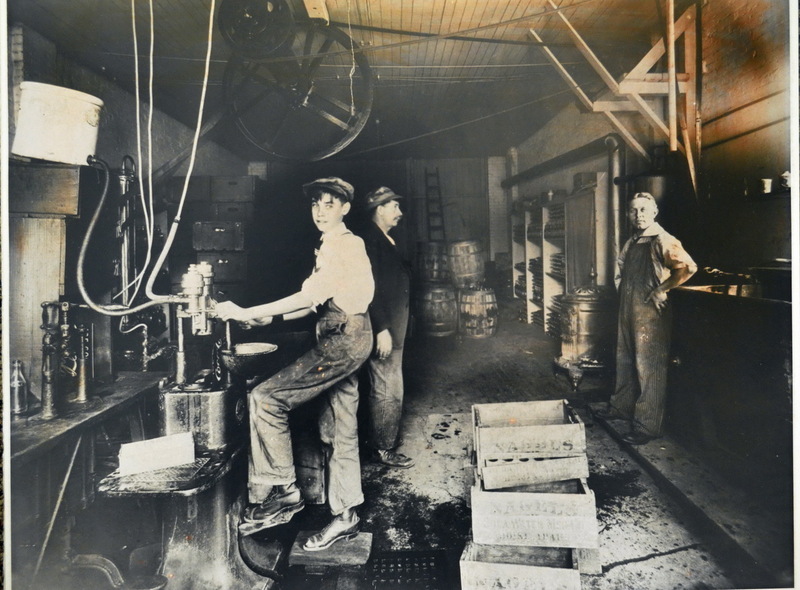 Nagel Beverage Company began on September 20, 1895 when 26-year old John Henry Nagel purchased the Soda Water Company of Ada County for seven hundred dollars. John, a German immigrant who moved to the United States in 1880 as a teenager, started Nagel Beverage Company in a back alley warehouse at 6th and Main Streets in downtown Boise. He expanded his business over the next 20 years by bottling his own flavored sodas, Hires Root Beer, Squirt and adding 7Up in the late 1920's. In 1919 he relocated the business to 1310 Main Street in downtown Boise, the current site of Idaho Mountain Touring. Around 1930, Nagel began the bottling and distribution of Pepsi-Cola. In 1935, Pepsi decided to change from an open market concept to franchising territories. When John was approached about acquiring the Pepsi franchise rights, a conflict arose with 7Up over those franchise rights he owned. 7Up issued an ultimatum: them or us. John, not one to be told what to do, made the decision to accept Pepsi's franchise offer. 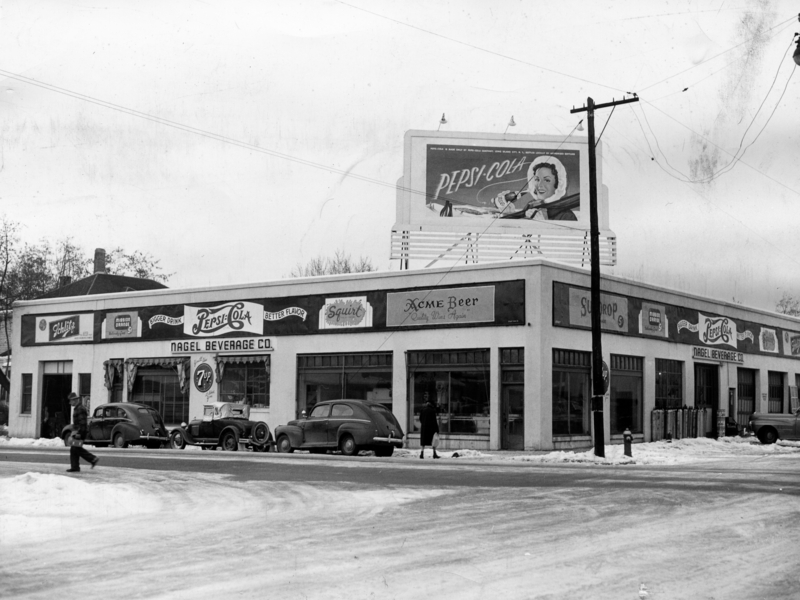 Nagel Beverage became a Pepsi franchisee in 1935 for the ten western counties of Idaho. That same year, he obtained the franchise rights to eight counties in the Twin Falls area, in a partnership with the Levander family, to start Pepsi-Cola Bottling of Twin Falls. John H. Nagel died in 1940. (Nagel Beverage bought and sold the franchise rights to 7Up three times, the last time from 1996 to 2000). John Fredrick Nagel, born in 1900, took over Nagel Beverage upon his father's death. While a patient at St. Luke's Hospital in Boise, he met a nurse, Mildred E. Evans of Mountain Home. They were married November 22, 1933 in Walla Walla Washington, and had two children. Anne was born in 1938, and Jack was born in 1942. John F. Nagel spent the next 30 years modernizing his manufacturing equipment, adding new beverage franchises and expanding the facility. He passed away in late 1969. John's son Jack assumed the helm as Vice President in 1970. With the "coming of age" baby boomers and the use of mass media, the late 60's and early 70's ushered in a nearly 30-year period of phenomenal growth in the beverage business. In 1972, to address this new growth, Jack purchased property and built a new 40,000 s.f. warehouse, manufacturing and distribution center at 5465 Irving Street in Boise. Expanded production capacity was added in 1976, and an addition doubled the size of the warehouse in 1982. Jack Nagel passed away in 1988. In 1988, Mildred Nagel became President and her daughter, Anne Mathews was named Vice President. Vance Miller was the new General Manager (becoming CEO in 1992) and assumed leadership of the company. Due to exponential population growth in southwest Idaho and the continued growth in the beverage industry, 10,000 square feet of new offices and meeting rooms were added to the 8-acre Irving Street site in 1994. A 12,000 s.f. vending and fountain equipment service center and upgraded production facilities were also built. In order to meet continuing demand, Nagel Beverage Company purchased an ownership position in Columbia Beverage Company, a bottler-owned co-op manufacturing facility in Tumwater, Washington. The Columbia Beverage ownership provided Nagel Beverage with unlimited supply capacity. Nagel Beverage assumed control of Pepsi-Cola Bottling of Twin Falls in May, 1999. In 2000, Nagel Beverage was awarded Pepsi's Donald M. Kendall Bottler of the Year award. Mildred Nagel passed away in early 2003. Anne Nagel Mathews took the role of President, and Vance Miller continued in his role of Vice President/CEO. Continued growth and changing needs led to a four-year, multi-phase project to construct new manufacturing, warehouse, sales, distribution facilities, and corporate offices in Nampa. Development of new facilities began in 2004 with the purchase of 35 acres of land. 20 acres were developed in early in 2004 and a 100,000 square foot Distribution Center and Delivery/Warehouse offices were completed in December. A 130,000 square foot Production Center was started in phases in the spring of 2005, and was completed that fall. 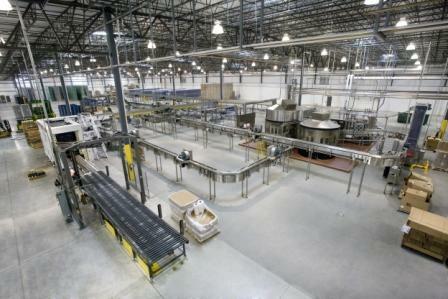 In early 2006, state-of-the-art manufacturing processes were installed including a fully-automated bottling line and fountain bag-in-box filler. A new 10,000 square foot corporate office was completed in May, 2006. 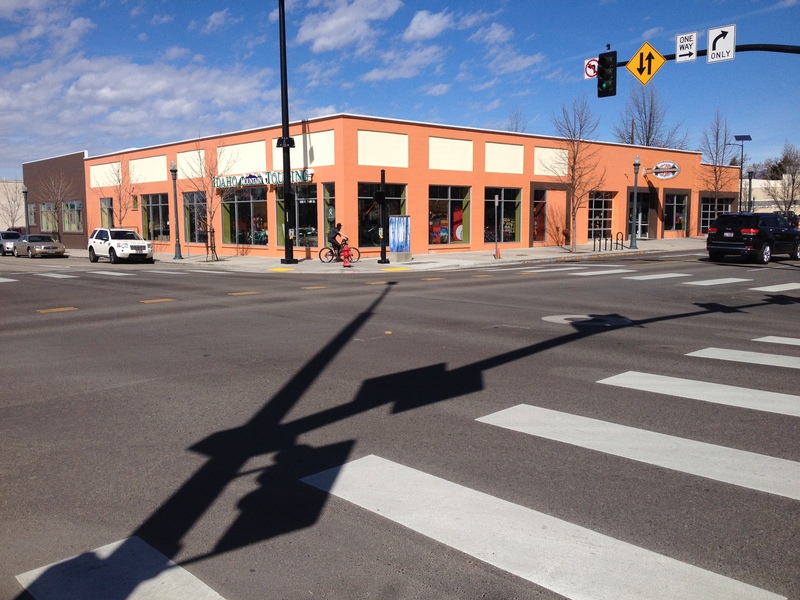 All remaining functions moved from Irving Street to Nampa in June, and the production of soft drinks in Nampa started that fall. The Irving Street facility was sold to the Idaho Youth Ranch in July of 2006, and it was named the "Idaho Youth Ranch, Nagel Center". Canning equipment, bottled water capabilities and water treatment system installations began in early 2007. The first bottle of water rolled off the line in the fall of 2007 and the first can of Pepsi was produced in late 2008, completing the 35-acre campus project in nearly four years. 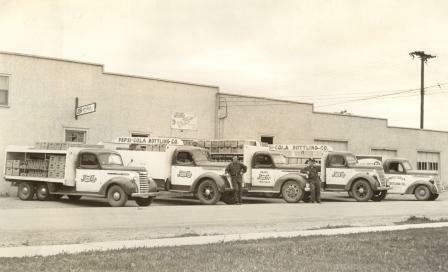 As the project was being completed, the franchise beverage business was under pressure to concede control of major portions of their operations to Pepsi-Cola Company. After considering the new direction, loss of control and the issue of family involvement, it was decided that Nagel Beverage and Pepsi-Cola Bottling Company of Twin Falls should be sold to preserve the family's legacy and assets. On February 26, 2009 Nagel Beverage and Pepsi-Cola Bottling of Twin Falls were sold to Pepsi Bottling Ventures of Raleigh North Carolina, concluding the 113-year history of the locally-owned family business. The companies were subsequently sold to PepsiCo in January 2013. 13th and Main Streets, about 1935 . . .
© Copyright 2016 - Nagel Foundation. All Rights Reserved.